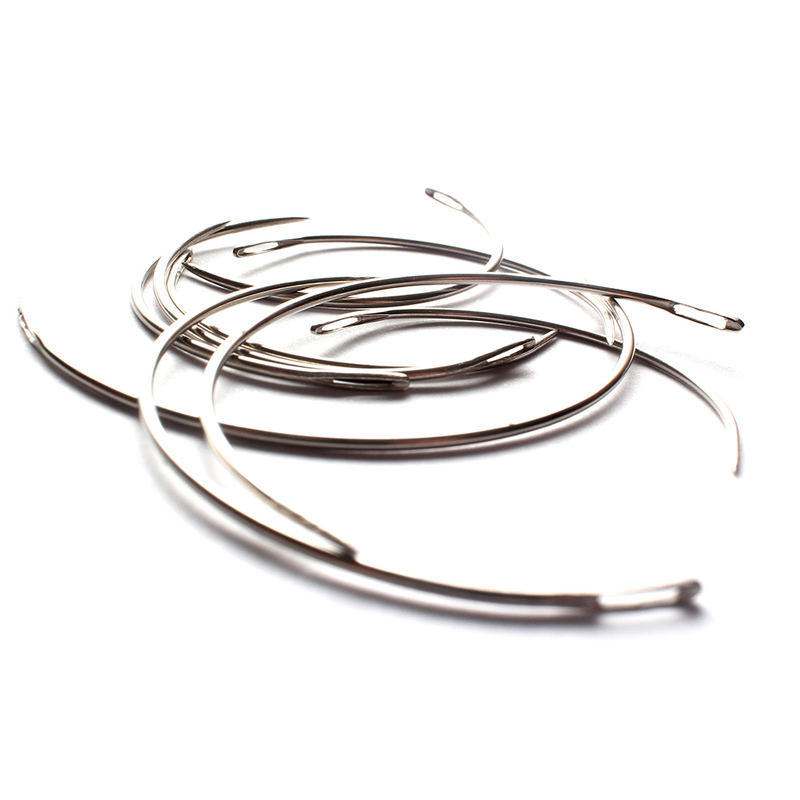 Curved Mattress Needles are extremely useful and widely used in the upholstery trades as well as across a range of craft work. The length or the full curved length is measured from the top of the needle, around the curve to the point. The higher the gauge (thickness/diameter) the finer the needle. You may also be interested in our range of Specialist Repair Needles, which includes Curved Repair, Household Repair, Bodkins and Mattress Needles. 12 needles wrapped in traditional packaging of brown paper.